Anyone in Pennsylvania can pick up a paint brush; get paid for painting, and call himself a painter. There are no tests that you have to take to be a painter. I doubt if this is what you want, so you need to do some investigating. Note: You might also use the job estimate request form to provide additional feedback on a job or job estimate already in progress. If you want the cheapest price in town, get a painter who isn’t registered with the state, a contractor who has no references, carries no liability insurance or workmen’s compensation; and tells you verbally he is covered. I believe a number of painting companies don’t carry the proper insurance. If painters have the proper coverage, they will be glad to show you in writing their credentials. Pennsylvania requires someone carry Workmen’s Comp. insurance on a contractor’s worker, none of this really matters until a painter falls off a 2 foot ladder and hurts his back. This stuff is important, but overlooked much of the time! When we do an estimate we show you in writing who to call to verify our credentials, and we don’t charge for an estimate. Our company, John Clark Painting, is fully insured through Knoll Insurance Company. * Ask if contractor is registered with the state. Every contractor who has the above information would be happy to show you in writing that he has complied with these requirements. You are welcome to confirm our information. Registration required with the office of the Attorney General, Commonwealth of Pennsylvania. Our work is guaranteed for two years. At the job we will have a work order sheet for our painters to follow. Usually the only disappointments come when the scope of the job is not clear. Whatever the project, it is helpful to have any decision-makers present and involved from the beginning. That way you make the best decision. trying to find a dance partner. this makes for a good job. I have enclosed a form that you can copy. I have gone into many houses and the homeowner says, “ I want to paint this room.” It helps to know beforehand what gets painted. For example, do you want the doors painted, one side or both? Does the door trim get painted? Do the walls get one coat or two? How much does a second coat cost? Many home owners don’t consider these questions. It is important that you get pricing on the same amount of work. We break down the components for you: ceiling, walls, trim, and the grade of paint so you can compare estimates reliably. This makes your job easier. If you need to consult with another person it is helpful that he or she is present, so that you end up getting reliable information, and it is easier to make your decision. 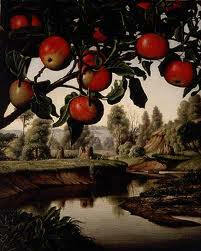 It is helpful when considering bids that you are comparing apples to apples! to arrange for a free onsite estimate. Our goal is very simple, make the customer happy by treating homes with respect and doing quality work.